If you are looking for a fishing reel the Abu Garcia REVO SX might be just what you need. This is a right-hand reel that some have dubbed the Abu Garcia “workhorse”. It does look good with its matte black finish and strategically placed red highlights but what else does it have to offer? It has a unique feel to it; not only has it dropped at least two ounces when you compare it to previous models, this lightweight constructed low profile baitcasting fishing reel has a lot of improvements. It features the powerful D2 gear system which makes your performance unhindered, regardless of your fishing experience. If you are bothered about friction, the Abu Garcia baitcasting reel has that covered with Ti coating on the line guide. Impressively, there’s also a lube port onboard (though there’s no mention of it in the packaging or the product description). With a considerably fair pricing for a high-end product, the durability of the Abu Garcia Revo SX is unmatched with most reviews from customers being positive. The Abu Garcia Low Profile Baitcast Fishing Reel is a highly efficient and precise model in whatever water you use it. It has an upgraded X2-Craftic alloy frame that gives you a lot more advanced corrosion protection. The handle side plate is made up of weight reducing C6 carbon, which adds to the trait that this bait cast fishing reel is going for, lightweight. Truly one of the best on the market right now with all things considered. Features Ti coating on the line guide, which not only reduces friction during retrieval, it ensures the longevity of the equipment. ect from top brands, yet it truly withstands the wear and tear of fishing without sacrificing any performance for you. The Abu Garcia Low Profile Baitcast Fishing Reel gives you the assurance that you are using a high-quality fishing reel because it is built with only the highest quality parts available in the industry, which makes it a professional grade fishing reel that is always ready to go. It has been thoroughly tested for both durability and performance, and it has always topped the charts on both. The look might seem a little off at first, but you will definitely grow to it, and come to appreciate the attempt by Abu Garcia to make a unique low-profile bait cast fishing reel. Lastly, the Abu Garcia Low Profile Baitcast Fishing Reel is definitely one of the best, thanks to its high priority on corrosion-resistance, featuring corrosion protection for many of its components. This means that you will get a lot of use from this one so you do not have to worry about the wear and tear it goes through, even if you keep it on the shelf for a long time. You will not experience a downgrade in performance from it so long as you maintain it well and use it within its limits. 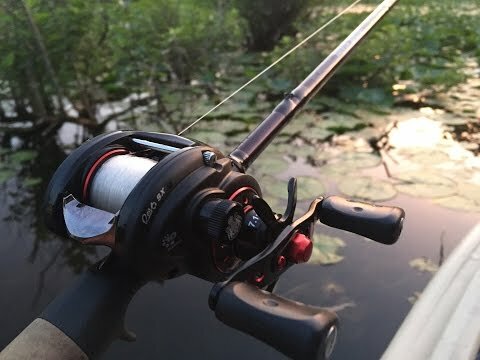 The Abu Garcia Low Profile Baitcast Fishing Reel proves that its uniqueness could be a burden as well. Many customers have complained that its attempt to be different took away from its many great features and made it difficult for many people to adjust to its type of performance. The performance may be unquestionable, but the features are too expanded on to get used to in such a short amount of time, especially if you are a long-time fisher. The design is also a little bit different, which makes it stand out, but it seems intimidating to try out at the same time. If you are not afraid of trying something new, then the Abu Garcia Low Profile Baitcast Fishing Reel is the best one for you. This high-end low-profile baitcast fishing reel makes it easy for you to get all of the features that many fishers want on their fishing reels in one product. Even though its attempt to be different might prove to be difficult to get used to at first, the payoff in the end clearly outweighs this negative along the way. A must-buy if you are serious about catching something, irrespective of its size. This REVO SX has been made using high-quality components that offer you efficiency while still being durable. All the components have been tested for durability and quality. Its side plates also align perfectly with the frame with no noticeable gaps or protrusions anywhere. The TI coated line guide also ensures durability. Even though this reel is such a lightweight, you’d be surprised how strong and efficient it is! There are 9 stainless steel ball bearings and 1 roller bearing to provide smooth operation. They work together with the TI coated line guide to reduce friction. 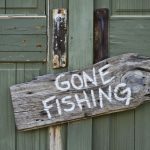 If you are not an active angler, two or three ball bearings are enough. For anglers going after large fish, choose reels that contain five or more ball bearings. With nine, the Revo SX has made the fishing experience pleasantly smooth. The reel casts and retrieves effortlessly and hauls fish in without hesitation. It works smoothly even in wind and lighter lures. It has a powerful D2 Gear System (which many consider the next generation of Dura gear) that provides enhanced efficiency and precision when on the water. The gear ratio is 6.4.1.The wider Infini II spool design is meant to improve casting performance. The Carbon Matrix drag system provides smooth, consistent drag pressure when hooked even when fighting big fish. It also has a MagTrax brake system that gives consistent brake pressure throughout the cast. This magnetic brake system is adjustable from the outside meaning you don’t have to open up the side plate for adjustments. Pro Tip: Get some Eva knobs to have it working 100% in all weather conditions including freezing weather. It has an X2-Craftic alloy frame that offers increased corrosion resistance. Now you don’t have to be afraid of fishing in those salty waters that corrode many fishing instruments. The D2 Gear System is one of the most durable gears you can find around. It has a compact bent handle of 80 millimetres and comfortable rubberized knobs. The handle side plate is made from C6 carbon which has weight reducing properties. This lightness makes the REVO SX easy to handle and carry even during long hours of fishing. The reel itself is only 6.6 ounces; just the perfect weight. This professional grade fishing reel is so quiet you won’t hear anything while reeling it in. What is this reel suitable for? The Abu Revo is a great reel for Bass fishing and has plenty of torque and a smooth action to help you control your fish. Pair it up with some braided line and a medium weight bass lure and away you go. The reel has a standard speed that works best when reeling in medium fish such as slot walleye, panfish and smallmouth bass. It has also been challenging for some people to use this particular reel to handle big fish such as large Northern and Muskie. However, using it for big fish is not entirely impossible; some people use it for big fish and it works great. It is great for first-timers as it is very simple to use; no complicated parts.